First impressions are very important to every business. The place where you work or provide services says a lot about you. When customers or professional associates visit your business, the first thing they see is the exterior. Is your office building or storefront inviting and attractive? Or is it run-down and worn? 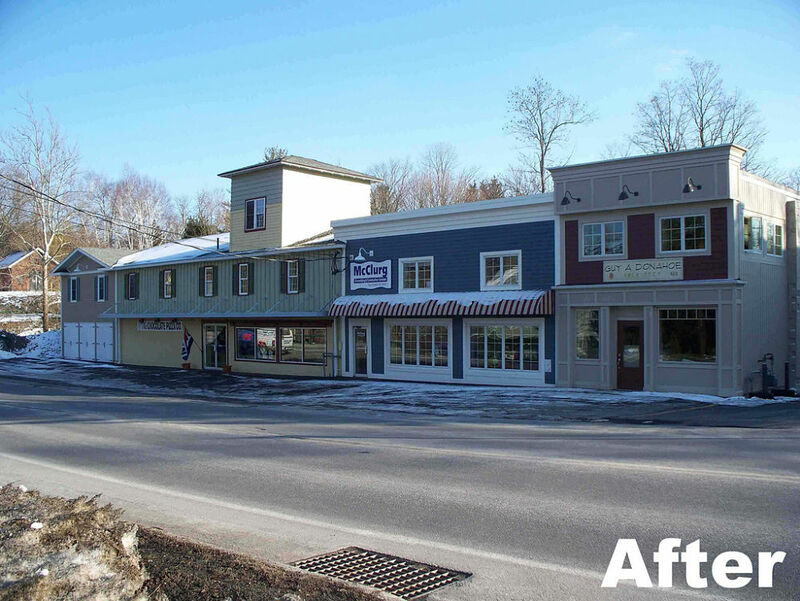 We specialize in exterior remodeling of commercial buildings. Contact us today for a complimentary consultation. Visit us at our office in Marcellus and you will see examples of the latest siding materials used on today's buildings. Our red, white and blue façade features fiber cement siding, MDO, Azek and board and batten cedar. The red striped awning helps our building stand out. 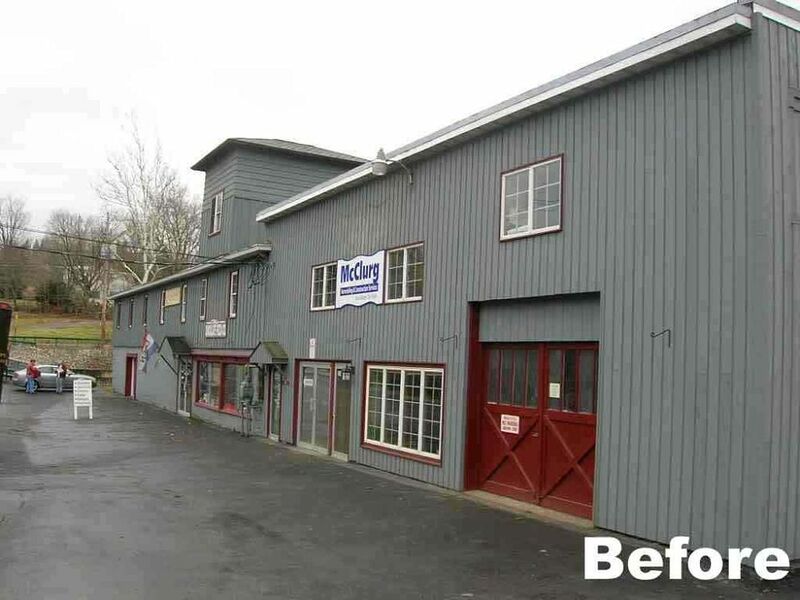 The original façade of our building resembled a battleship with its gray board and batten siding and didn't distinguish our business from others in the complex. Now our look is reminiscent of storefronts from the turn of the century, each façade unique to the business it houses. It's "East Main St." revisited. 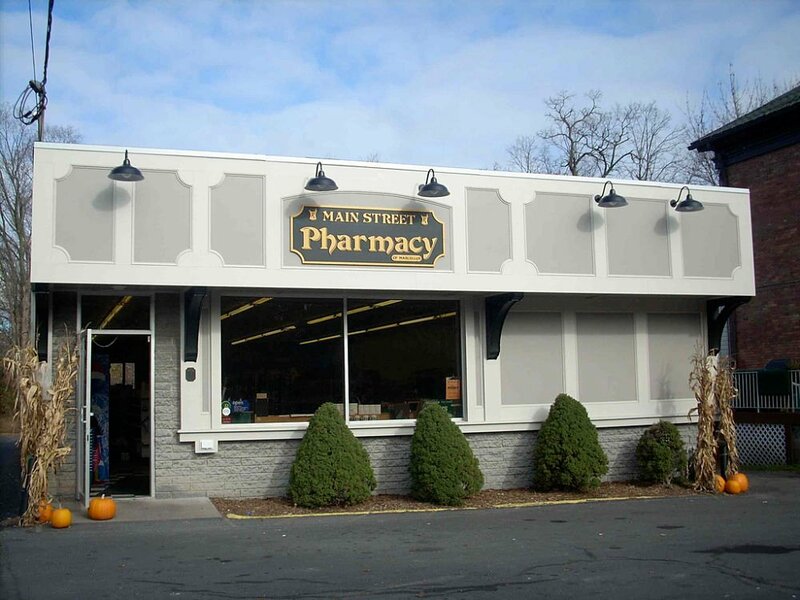 The exterior of this pharmacy was updated with a new simple paneled look. A new prescription area was built which included all new custom cabinetry and some new shelving to hold the supply of medicine. The cabinetry was built to meet the specific needs of the pharmacy.